2012 started pretty well but has very quickly lapsed into that old standby, the crippling cold that goes to every part of the body, stays there and totally ruins one’s life for a period of time. Getting up and going to work hacking and spittling, then managing to pull myself together for a few hours before going home and collapsing; meeting the dog’s guilt-inducing eyes … “I Can’t do a 3 hour ramble through the park, we will just go around the block, ok?? ?” Making it up to her by letting her sleep in the bed with me, where she selfishly adjusts herself during the night and i find myself hanging off the side of the bed while she sprawls luxuriously. 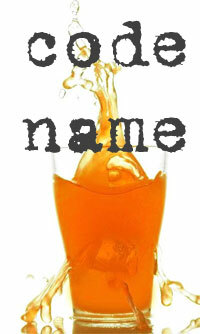 “Orangeade” being something like TANG (sickly vile artificial sweet beverage). The UK had good reason to be afraid, the presence of the Trident nuclear weapons made the UK a target, which is why the Germans for example refused to host them. Canada – where I was during the cold war – didn’t have nuclear weapons but since we are tucked in tight to the USA [physically, economically and politically] it really didnt’ matter. So – 2012. I don’t remember being scared during the 1980s and I am stil not scared today though I am older and wiser and probably should know better. Let me now just get rid of this virus.